Selective gold plating on silver is the easiest and often the most popular choice for those starting out in pen plating. 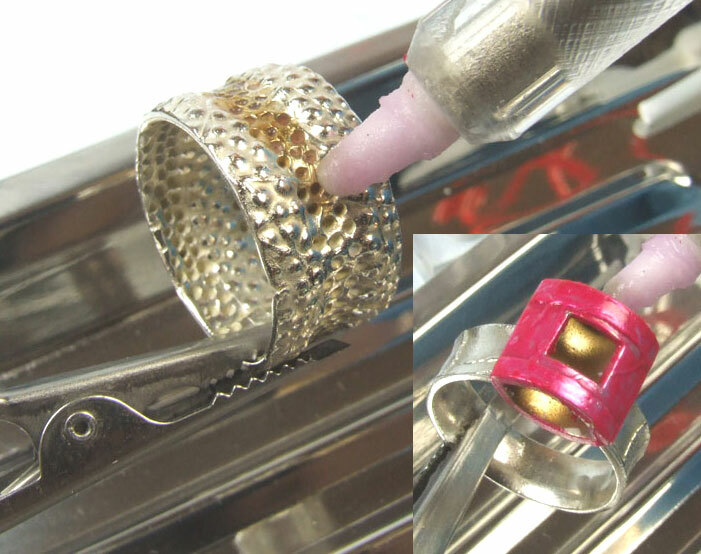 The two rings featured in this guide demonstrate two different approaches to selective plating; one involves masking out with nail varnish, the other careful application of the gold solution using one of the pointed nibs. For in-depth guidance on surface preparation, please refer to the relevant sections in this manual. 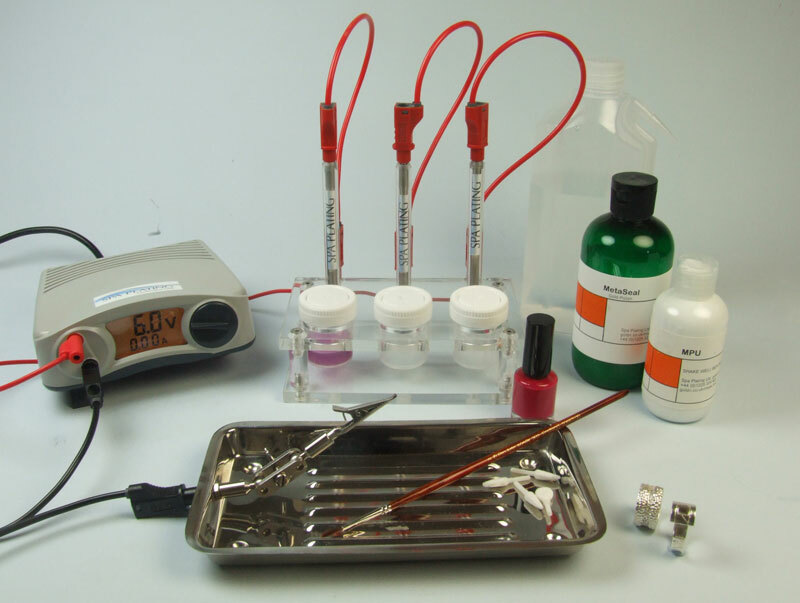 Equipment; MF Rectifier or the LED Pen Rectifier, Pen Plating Stand, Plating Pen and Electrode, Pen Plating Clip Tray, pen nibs (pointed and paddle shaped), artist’s watercolour brush. Solutions and Materials; Gold Pen Plating Solution, MetaSeal, MPU, nail varnish, kitchen paper towel. 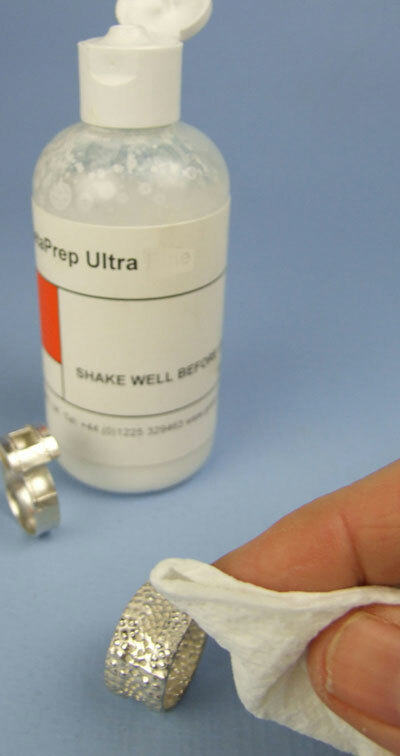 Clean and prepare the surface of the silver with MPU. MPU has been specially formulated; all you have to do is to apply it with a clean paper towel and buff up with another clean paper towel. This process removes both tarnishing and grease, all in one go. 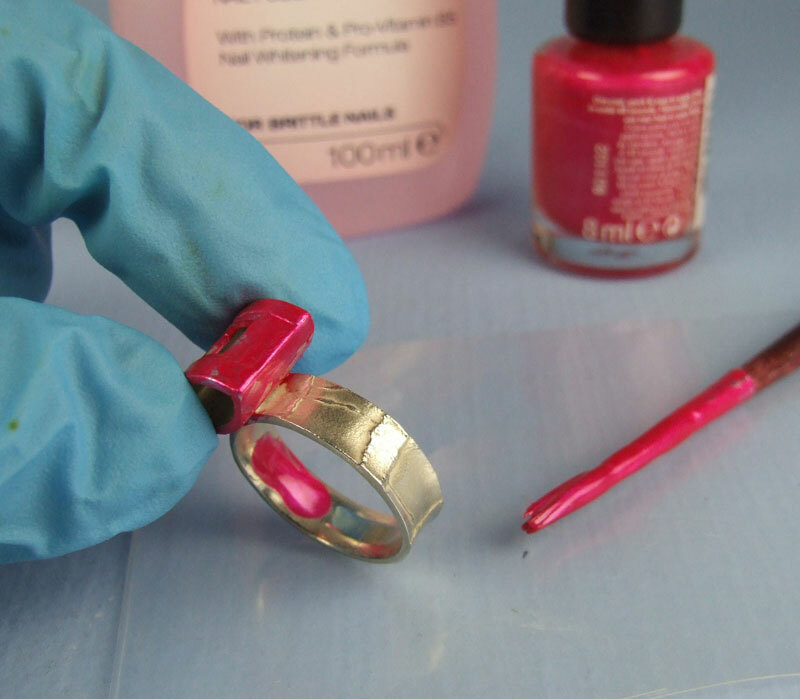 We recommend wearing gloves throughout this process, to avoid getting the clean surface of the ring dirty again with your fingers. A fine artist’s watercolour brush is essential, as the brush supplied with the nail varnish isn’t accurate enough. Before fitting the nib into the end of the pen we suggest that you fully soak the nib in the gold pen plating solution by immersing it in some of the solution in your beaker before fitting it into the end of your plating pen. Make sure the nib is fully pushed up into the end of the pen so that the cotton wool makes contact with the platinum tip. Dip the nib into the gold solution and brush the surface of the work with circular movements. Keep dipping the nib regularly into the solution to replenish the gold. Once it is gold plated, rinse thoroughly with water. The pointed nib easily gets into the smallest of areas, allowing you to plate precisely and economically. The paddle shaped nib is great for plating the flatter areas of the ring, such as the band. The pointed nib also allows you to selectively gold plate very accurately freehand, without the need of masking out. Remove the nail varnish with nail varnish remover, using kitchen paper towel. 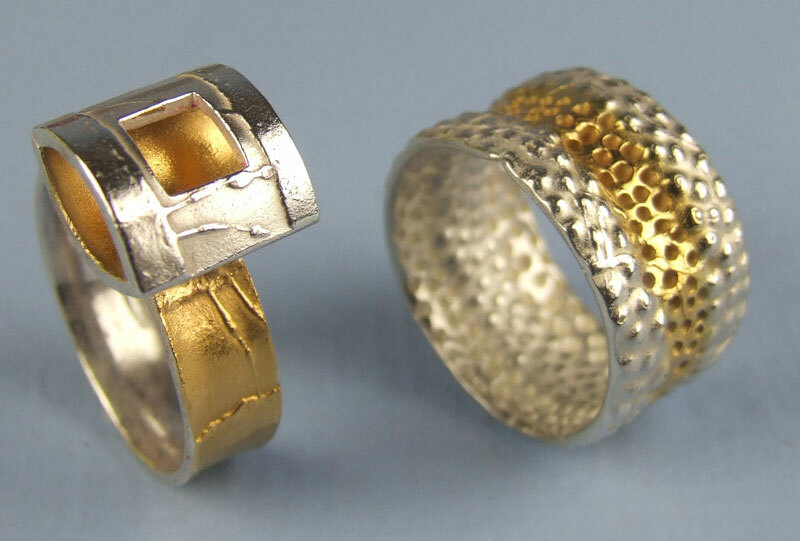 To bring out the lustre of the gold plate, polish with MetaSeal.